Rules Review - Discussions on when you can replace a club during a round. Congratulations to the winners at Devils Ridge. Please read the Story from Devils Ridge and review the full leaderboard at the bottom of the newsletter. Don't forget to share with your non-tour golfing buddies to remind them of the fun you are having and new golfers and new friends you meet each week. If they don't fear losing you as a friend - you need to find new friends anyway. This week has the First Major Tournament of the season at Bryan Park. For you newbies, a Major awards double points to all golfers regardless of where you finish in your flight. There will be plenty of points to be earned for the accurate golfer and those who can manage their way around Bryan Park this week-end. Here’s your chance to move up in the standings and get early bragging rights. Hopefully, you are already signed up since most Majors sell-out because of the double points. Make sure you review the rules question this week on playing with only 14 clubs, breaking a club during play and adding a club during a round - you maybe surprised. 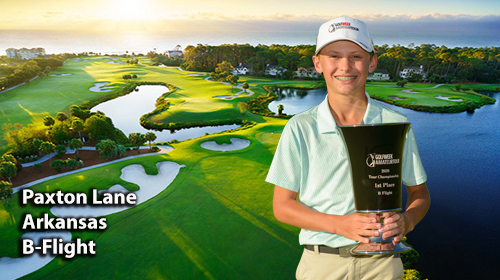 Rules are important as they protect you and ensures the tournament field is protected as well. If you have questions or don't know, ask during and after the round. Remember, you can always play 2 balls and ask the rules question at the end of the round. New products and services will continue to be added and we know you will find these services and prices to your liking and advantage as well. Let us know what other products you would like to see added. To be successful and score on Saturday, you must navigate the many bunkers at the Players Course. The Players Course opened in 1974. Originally designed by George Cobb, the course was later modified by Rees Jones. 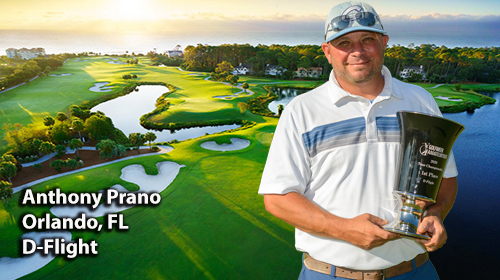 Do not be lulled asleep by Bryan Park Players Course. Be warned, the Players Course will get you if you fail to execute any shot correctly. 18 hole championship layout featuring 79 bunkers and eight ponds/lakes. To reserve your place and to sign-up, please reply to this email, sign-up on-line, mail a check or call Bruce Hallenbeck. The rains had pretty much passed prior to the 1:30 start time for The Golfweek Amateur Tour event at Devils Ridge. But the rains that pounded the area the night before and right up to tee-off time left the course in very wet condition. Taking that fact into account, it was decided to move each flight up a Tee-Box to make up for the lack of "roll" available in the fairways. "I believe it proved to be the right decision, as the winning scores in each flight were pretty close to what we'd expect under dryer conditions", stated Tour Director Bruce Hallenbeck. "I also wanted these guys to have fun today. These are 'stand-up' guys who honor their commitment to play despite dire weather forecasts. We actually had more people on the course than I had signed up yesterday". The competition was tight in almost every flight. The B Flight went to Sudden-Death as Fayetteville's Mike Martin eliminated Terry Evans of Apex on their 1st playoff hole after both posted regulation 78s. 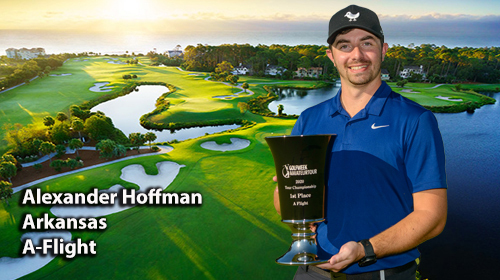 Dan Holland of High Point took the Championship Flight by a single stroke - 75 to 76 over Fayetteville's Scott Blackstone, while Fuquay-Varina's Daniel Patterson had the same margin of victory over Farmville's Travis Evans in the D Flight - 97 to 98. Rat Williams of Walstonburg had a more comfortable winning number in the C Flight over Raleigh's Shirral Davis with an 84, good for a 3-stroke win. The only "walk-away" winner was the A Flight's Mark Cobb out of Hope Mills, whose 76 was 6 shots clear of Laurinburg's Robin Neverve and Chapel Hill's Henry Lister. 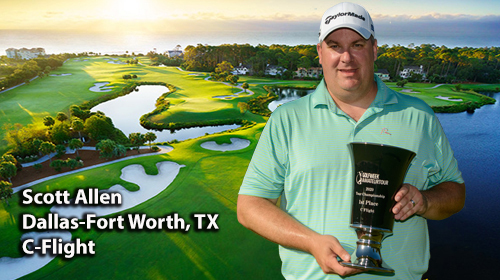 Next up for the Golfweek Tour is the season's 1st "Major" Championship of 2012. Bryan Park Players Course will be the host site for that event this coming Saturday, March, 31. There are still openings for that event, which is open to any amateur golfer. 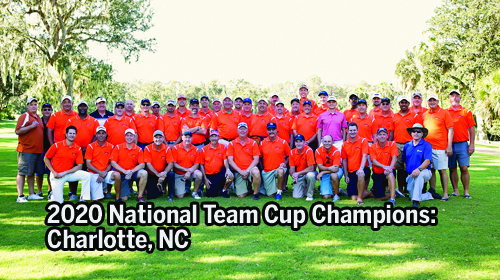 For information on how to play in any Golfweek Tour event, call Hallenbeck at 336-495-6556, or email him at behgolf@aol.com. Some of you may have received what appears to be an Invoice from GolfWeek Magazine. DO NOT PAY THIS INVOICE. IT IS A SCAM!!!!! 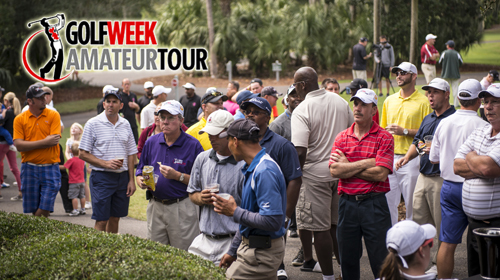 Once you have signed-up for your 2012 GolfWeek subscription through the Amateur Golf Tour, you will NEVER receive an invoice from GolfWeek. Do Not Pay any INVOICE or BILL from GolfWeek! Because of our association with Golfweek Magazine as our Title Sponsor, it will be necessary for all members in 2012 to submit an application on-line through our website - even if you completed an application in past years! This will get you "in-the-loop" with our Tour HQ computer and ensure that all your stats will be correctly assigned to you after every event in which you compete. So please take a minute, go to the website and complete your application for a no charge subscription as soon as possible. 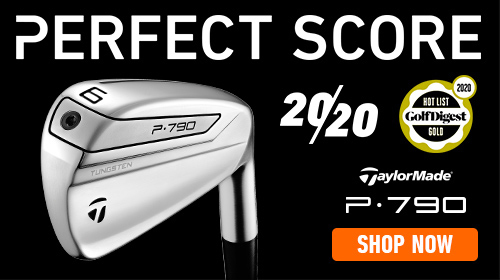 Best Prices for Your Golfing Needs! Tommy "The Torch" Tillotson started the round with only 13 clubs as he broke his 5-iron on the driving range warming up. After four putting the eighth hole, he snapped his putter in two and putted using his rescue on the 9th. At the turn, without causing delay, he grabbed another putter out of his trunk and used it on the back nine to complete the stipulated round. 1. In stroke play, Tommy incurred two penalty strokes each on holes 10 and 11. 2. In Match play, Tommy's match would be adjusted by deducting one hole at the completion of the 10th hole and again on the 11th hole. 3. When Tommy deliberately damaged his club on #8 he could no longer use it without being DQed. 4. Tommy did not receive any club-related penalties since he started the round with fewer than 14 clubs and was entitled to add a club at any time provided it did not unduly delay play. Rule 4-3, Damaged Clubs: Repair and Replacement is where you start to solve this situation. When a player damages a club during a stipulated round, other than in the normal course of play (think: on purpose), he may not use or replace the damaged club (R4-3b.) This makes answer 3 TRUE. But, since "The Torch" broke his 5-iron warming up, he subsequently started the round with only 13 clubs. Rule 4-4 is very specific: a player who starts a round with fewer than 14 clubs may add any number of clubs provided he does not exceed 14 clubs and the addition of clubs does not unduly delay play. And that is why answer 4 is also TRUE. Rule 4-4 does not restrict the type of club a player adds, it only restricts the total number of clubs. In this situation, these two Rules may seem to be in opposition. But, stop and think about what Rule 4-4 affords the player; recognizing, before he broke his putter, The Torch could have added a second putter, bring his total to 14 clubs. Therefore if he could have done it earlier, there is nothing to prevent him from doing it later. What he may not do, since at the turn he was down to 12 clubs, is add two. He can only add one and is limited to 13 clubs for the remainder of the round. Oh, and for those who wonder about carrying around a broken putter and whether that counts as a club, a broken-shafted club or putter no longer meets the criteria for a club as specified in Appendix II. So it is not counted.